The Commonwealth of Australia was born on 1 January 1901 when the colonial states came together as a federation. Although the Queen still remains the symbolic head of state, most of the constitutional links between Australia and Britain formally ended in 1942. The Commonwealth (or Federal) Government meets at Parliament House in Canberra, and is responsible for the national economy and defence. The Australian Parliament is comprised of the House of Representatives (similar to the British House of Commons) and the Senate (with each state electing 12 senators). Our Commonwealth head of state is the Prime Minister and in Australia voting is compulsory for Australian citizens over the age of 18 at both federal and state levels. Australia also administers for numerous overseas territories, including Norfolk Island in the Pacific Ocean, and Christmas Island and the Cocos (Keeling) Islands in the Indian Ocean. The two key political parties are the liberal conservative Liberal Party of Australia and the social democratic Australian Labor Party (ALP). Other political parties include the Australian Greens, the National Party and the Family First Party. State and territory governments each have their own elected parliaments, and can pass laws on certain issues such as health, education and transport. The heads of state governments are known as Premiers, while the heads of territory governments are called Chief Ministers. With the exception of Queensland and the territories (which only have one Legislative Assembly each), state parliaments are composed of two houses: the Legislative Assembly or House of Assembly (similar to the UK House of Commons); and the Legislative Council (which functions like an elected UK House of Lords). 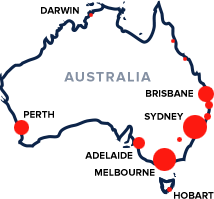 Local Government Areas (LGAs) in Australia are known under a variety of names: cities, municipalities, towns, shires or councils. These councils provide services such as local roads, sanitation, libraries, dog registration and neighbourhood security. They are composed of elected representatives, or councillors, who usually serve on a part-time basis.